I see a huge interest in Irish Crochet among crochet lovers. Indeed, this technique is much different from regular crochet, requires more work, but gives you more freedom in creating. To put it very simple you make motifs first - flowers, leaves, cords, then arrange them in a composition and work a mesh between them. But first I want to say though she is my friend and we talk almost every day, we've never met! How crazy is this? Still, I feel like I know her for ages, but really for a couple of years! We argue over different topics and make piece every time. We are friends and we wouldn't be if not for the Internet! 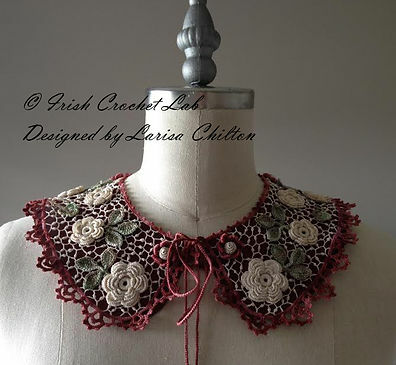 Q: Larisa, your Irish Crochet work is amazing. Give us a hint, how many decades do we need to become as good as you? :)) How many years of crocheting is behind this wonderful work of yours? A: I can’t say it is important to crochet for many years before starting Irish crochet lace, but you need to learn simple crochet stitches first and you have to crochet very good. The only hints are love for what you are doing and patience for hard work. I have been crocheting for a long time. My mother was my inspiration. I always remember her with knitting needles or crochet hooks, making beautiful shawls and sweaters. I learned everything from her. At first I was making clothes for my dolls and later I was making them for myself. Q: I've heard from your students you are a wonderful teacher. What level in crochet one has to be to start the Irish Crochet path? A: The short answer is advanced level. Irish crochet lace is considered to be the most difficult lace. Knowing how to crochet simple stitches is not enough. Just because someone knows how to crochet and does it well with yarn does not mean that person will simply pick up a hook and thread and crochet Irish lace. The important thing is to learn to crochet with very fine thread and hooks. After crocheting with yarn, using fine thread and hooks will be like learning to crochet all over again. Also, you need to learn how to crochet tight. Crisp, uniform stitches are very important in Irish crochet lace. Lace that is done with loose stitches is considered sloppy, not neat. So before you start making Irish crochet lace, the first thing you need to do is to learn to crochet tight and start using fine thread and hooks. If it is too difficult at first, then start with using crochet thread #10 with 1 mm hooks. When it becomes easier, gradually change thread to #20, 30, and 40 with corresponding hook sizes. 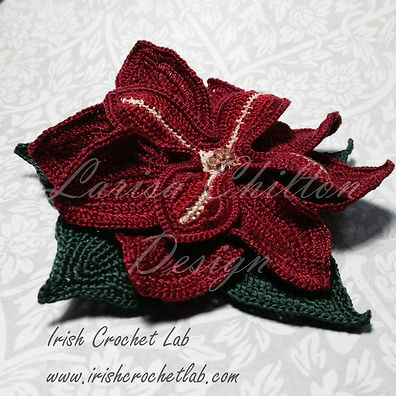 (more information is available at http://www.irishcrochetlab.com/#!crochet-thread/c21jd ). A: I’m okay with being crazy because I know that I am not alone. There a lot of women and men making Irish crochet lace. The smallest hook I have is 0.35 mm. I use it only for background netting. Q: It might come in handy on a dark street as a weapon, my friends, pretty sharp tool. I already see Irish Crochet side benefits! Ok, what is the biggest size? A: It all depends on what I am making. If I am making traditional Irish crochet lace, then the biggest I use is 0.6 mm. For modern Irish crochet I use 0.75 mm hooks, but sometimes I use a 1 mm hook to create a 3-D lace effect. A: It does. Traditional lace has an airy feeling when you touch it. You can barely feel the weight. It is very difficult to crochet with the finest thread and hooks and in modern Irish crochet lace, it seems that the size of the thread and hooks does not make a big difference for some artists. Every time you use thicker thread and hooks, you lose the airy effect and the lace becomes heavier and less awe like. A: It is difficult and more challenging than other fiber arts. I do not like easy projects. 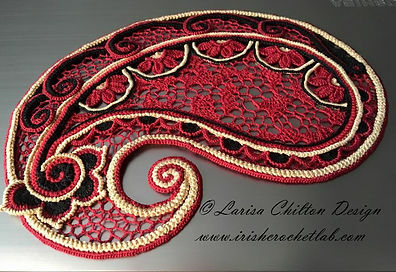 Also, Irish crochet lace is one of the free form crochets that give me more room for creativity and making unique pieces. A: Nature is my first inspiration. Vibrant, rich colors and interesting shapes. Nature has it all. I love the works of Oscar de la Renta. He uses some Irish crochet lace in his designs. His perfection and attention to details is something to be inspired by. 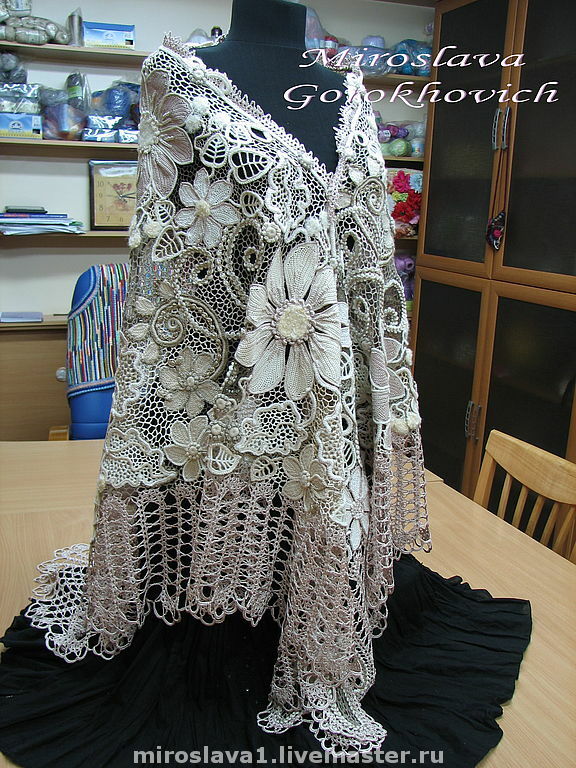 I have to mention my friend Miroslava Gorokhovich—modern Irish crochet artist from Ukraine. I learned how to crochet traditional Irish crochet using antique books, but Miroslava inspired me to try modern technique. Q: Where is your next master class taking place? A: Durango Crochet Retreat. May 3 - 8, 2016. Irish crochet lace. Modern Irish crochet lace. Clones Lace. 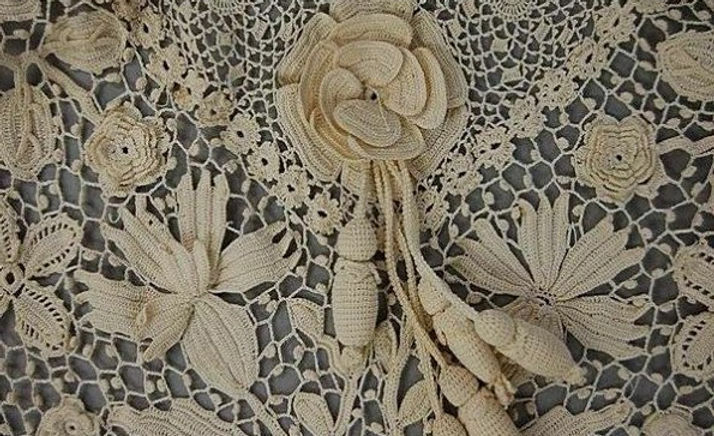 Romanian Needlepoint Lace. Design Freeform Crochet. Private sessions: fashion design. Q: What can you say to your possible students in this audience? A: Most important, if you decided to crochet Irish lace, don’t be intimidated by it. I will be honest, it is not easy to make, but it is possible. All is needed: a lot of patience, attention to details, and practice. 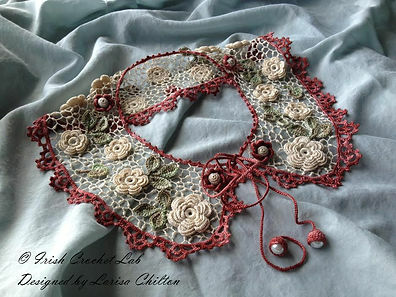 Think of learning Irish Crochet Lace, as if you are learning how to play violin or piano. It takes time to learn to play master piece. Right? 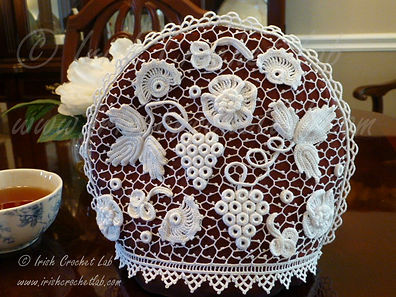 The same with Irish crochet lace – you have to learn grammar of Irish crochet lace, then crochet small project, and only then you can start with master piece. Спасибо Наташенька. За твою доброту, за твое внимание, и за прекрасные слова. Спасибо за то, что есть такие друзья как ты. Thank you Nanalia. Thank you for your kindness, and nice words. Thank you for friends like you. :))) Thank YOU, Larisa! For everything! Thank you for this wonderful interview, Natalia! I've taken the liberty of sharing this page with Durango Crochet Retreats Facebook page. Our ladies will love to know about Larisa in advance of our May 2016 retreat workshops that she will be conducting. The Irish Crochet pieces you share in this interview are absolutely outstanding! So much beauty! :) Thank you. They are indeed! I never see something so beautiful, definily I want to learn Irish Crochet!